From coast to coast, spring wildflowers are gracing yards and wild places. My most spectacular wildflower sighting of this season was last week, along the New York State Thruway. 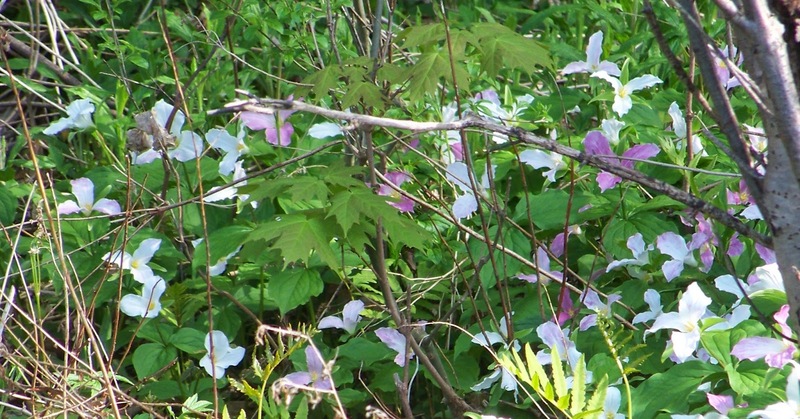 From Rochester, to east of Utica, on the south side of the highway, are large patches of drooping trillium - - with white and pink petals. 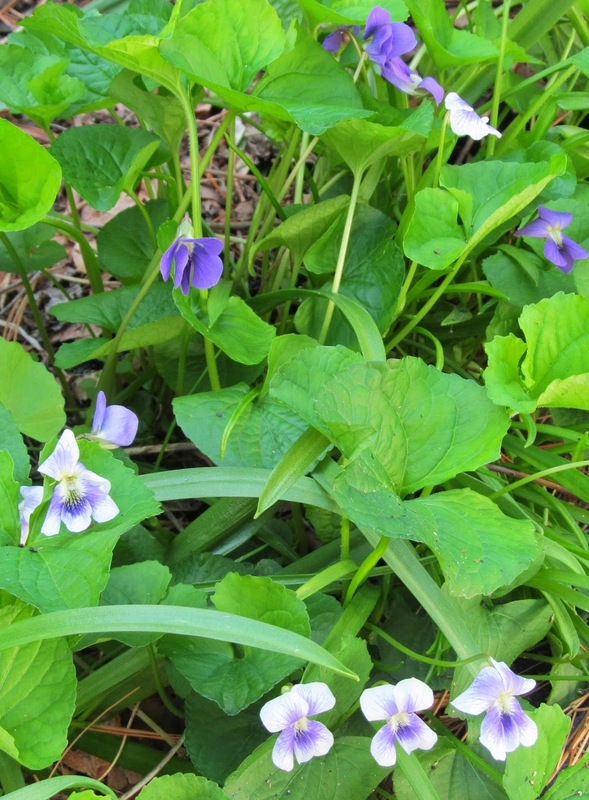 It was a delight to see so many rare wildflowers on public display, but my favorite spring wildflowers are violets. When we were growing up in southern Indiana, my mother used to take my sister and me for rides on the back roads to look at the violets. We would get out of the car and roam the roadside. One of the best places for violets was next to a limestone wall surrounding an old cemetery. Years later, after returning to New York, we moved to a rural home. My wife Dorothy and daughter Lily enjoyed picking and arranging spring wildflower bouquets. Then as now, the variety of violets they chose from was considerable. 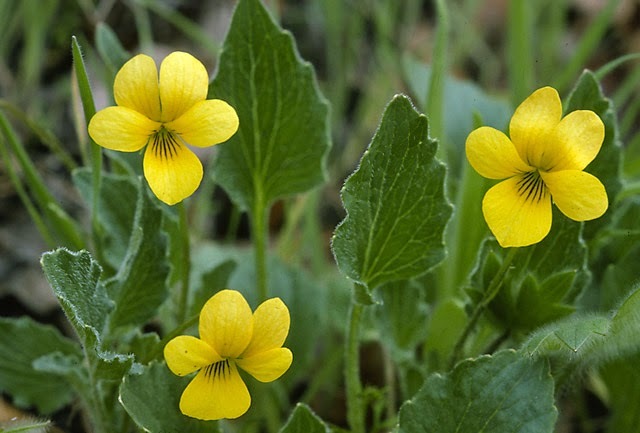 For a few weeks, round-leaved yellow violets grow along two forest paths. Although this species has stopped blooming, we have plenty of common violets. They come in all colors: many different shades of violet, white flowers and white flowers streaked with violet. According to Steve Windhager, Executive Director of the Santa Barbara Botanic Garden, “there are 24 species of violets native to California.” While we New Yorkers would love to see our West Coast neighbors for a spring visit, they need not fly cross country just for a spring wildflower fix. 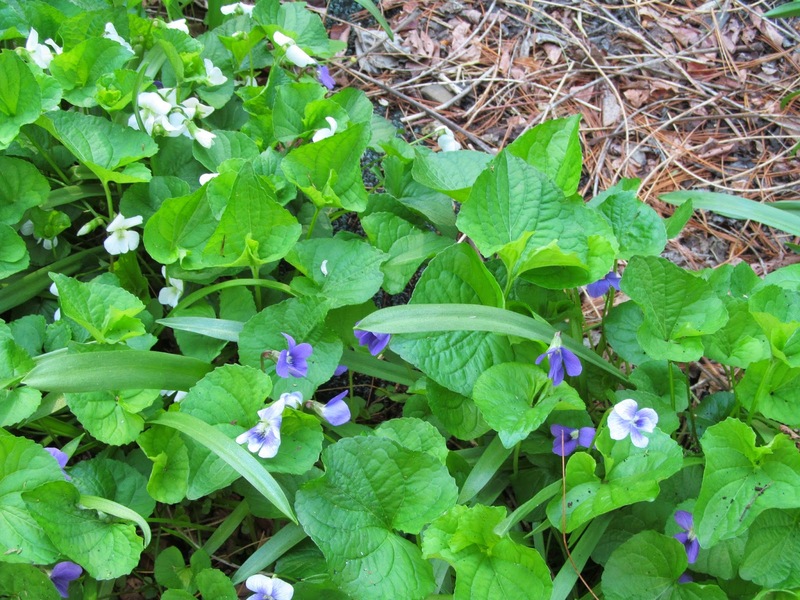 In addition to being varied and beautiful, violets are hardy. After the flowers fall off, I have dug up the plants and spread mulch. By the following spring, the mulch is depleted and tired looking but the violets are back, bright in all their many colors.